Professor Mahfouz is looked upon as the father of Obstetrics and Gynaecology in Egypt. He was the first professor of the speciality in Egypt and the Middle East. He established the first midwifery school in Egypt. His book on obstetrics “The Art of Midwifery and Obstetrics” remains a classic until this day. 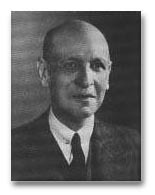 He established the first clinic for the neonates in Cairo in 1927 and the government adopted the scheme nationwide after the success of the first clinic. Naguib Mahfouz qualified in 1902. He volunteered to work in a town in Asyiut, where an epidemic of cholera had just broken out. He traced the source of infection to a polluted water well that supplied most of the town with water. After condemning the well, the epidemic came to an end. He set his heart on specialising in obstetrics and gynaecology. He had his personal reasons because his own delivery was a complex one as his mother was in obstructed labour for three days. He was recommended by the British General Health Manager of Egypt to join Qasr el Eini Medical School where he was appointed assistant surgeon. He then established the first outpatient gynaecological clinic in Egypt. It proved to be very popular. The medical school appointed him as the first professor of obstetrics and gynaecology in the country. He pioneered surgery of gynaecologic fistulae, his work on fistulae remains a standard operative technique until this day. A copy of his book, “Mahfouz Atlas Of Gynaecology and Obstetrics” is kept in the library of The Royal of Obstetricians and Gynaecologists in London. He established the first pathology museum in gynaecology which was highly commended by the President of the Royal College of Obstetricians and Gynaecologists of the day. The Nobel prize winner Nagib Mahfouz the writer was named after Professor Mahfouz. From such a precarious start to life, Naguib Mahfouz went on to become the first Egyptian professor of obstetrics and gynaecology at Kasr-El-Aini Hospital, a post he occupied until he retired in 1947. Among his many achievements, his research into surgical techniques of fistula repair made him world famous. He was a prolific author on a wide variety of subjects including urinary and faecal fistulas, fibroids, ectopic pregnancy, ovarian tumours, pelvic infections, and endometriosis. The Mahfouz museum at Kasr-El-Aini Hospital, which he founded at his own expense, contains a unique collection of obstetric and gynaecological specimens. 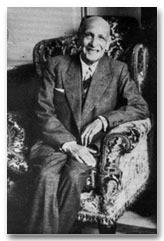 His magnum opus, the Atlas of Mahfouz’s Obstetrics and Gynaecological Museum (John Sherratt, 1949), was described by the then president of the Royal College of Obstetricians and Gynaecologists, Sir Eardley Holland, as “no doubt the best book that has appeared in obstetrics and gynaecology.” Mahfouz became a fellow of the Royal College of Physicians and an honorary fellow of the Royal College of Obstetricians and Gynaecologists, the Royal College of Surgeons of England, and the Royal Society of Medicine. Naguib Mahfouz was initially assigned to the Cairo railway station to examine suspected cholera patients coming from Upper Egypt. Not a man who would shy away from the call of duty, Mahfouz paid a visit to the Health Department Director General and demanded to be sent to Mousha, a village in Upper Egypt near Assiut which was particularly hard-hit by the deadly disease and where a doctor had just succumbed to the same disease he had been sent to fight. A bewildered Director General could only agree to his request. In Mousha, Young Mahfouz traced the cholera deaths to an infected well in a farmer’s house. Within a week of the discovery of the well, the Mousha cholera epidemic had come to an end. It is ironic that a nineteen-year-old medical student succeeded where a body of the ablest and most experienced British Public Health Department experts had failed. Mahfouz subsequently had similar success in fighting cholera in each of Deirout in Upper Egypt and Alexandria. Naguib Mahfouz qualified as a doctor in December 1902 coming top of his year. 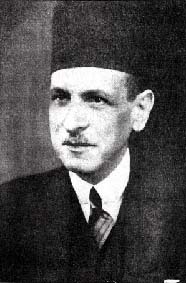 In 1904 and after a two-year spell at Suez hospital, he was appointed as an anaesthetist at Kasr El Aini hospital. As there was no such thing as a department of obstetrics or gynaecology at Kasr El Aini hospital, Mahfouz started a weekly gynaecological outpatient clinic. This turned out to be such a success that two whole wards were soon dedicated to obstetrical and gynaecological patients. This is how the first department of obstetrics and gynaecology in Egypt came into existence. Much of the experience that Mahfouz acquired in dealing with difficult labour came from an agreement that he had struck with the medical officers who delivered women at home. Whenever these were faced with a difficult labour, they would call him into attendance. For his part, he would attend to the patient’s house and help them deal with the most complicated cases at no fee whatsoever for himself. During the subsequent fifteen years, Mahfouz attended about two thousand women with difficult labour in their own homes. During this time, he recalls sleeping no more than two nights a week in the comfort of his own home. One of the children that Naguib Mahfouz delivered, after a difficult labour, was named after him in 1911. This child later became the Laureate of the Nobel prize in literature, the famous novelist Naguib Mahfouz. Naguib Mahfouz was appointed as Professor of Obstetrics and Gynaecology at Kasr El Aini Medical School in January 1929, a post he occupied until he reached the age of retirement in January 1942. His term of service at Kasr El Aini was extended by five years at the unanimous request of his colleagues at the department of Obstetrics and Gynaecology. 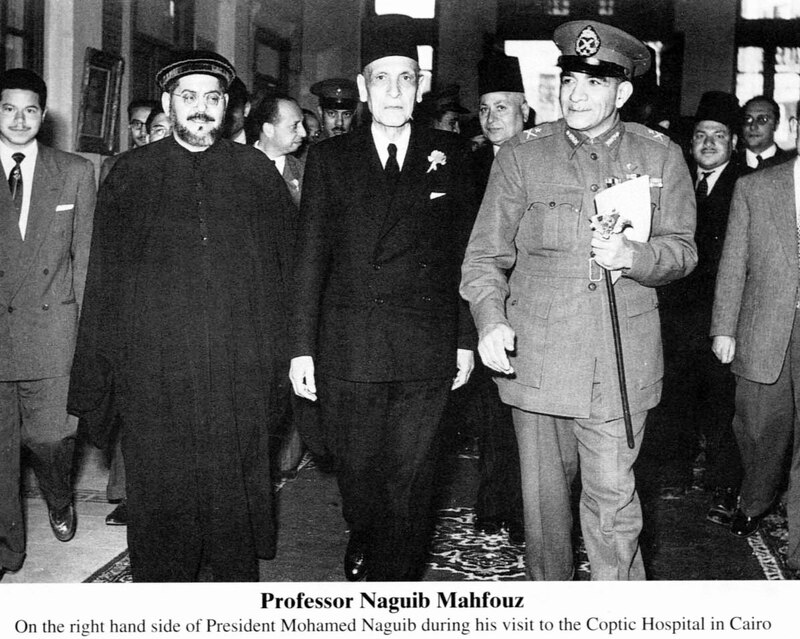 Mahfouz was also obstetrician and gynaecologist to the Egyptian Royal Family. His pioneering work on the surgical repair of urinary and faecal fistulae brought him and Kasr El Aini hospital international acclaim. Such was his reputation that the leading lights in his speciality came all the way to Egypt to watch him repair fistulae at Kasr El Aini and the Coptic Hospitals. Such was his fame and international acclaim that he was invited to lecture and show films of his operations at the Universities of London, Oxford, Edinburgh, Geneva and Lausanne, to name a few. A great handicap to Naguib Mahfouz’s work was the absence of a maternity unit at Kasr El Aini hospital. Thanks to his efforts and unrelenting campaigning, the first maternity centre in Egypt came into existence at Kasr El Aini. Mahfouz reorganised the School of Nursing and Midwifery and taught general nursing and midwifery to its pupils for over thirty years. No less than one thousand midwives graduated under him. His two books on nursing and midwifery were used by the students for many years. In 1919, he started a pioneering scheme whereby midwives, trained to the highest standards by himself, were allowed to deliver women in their own homes. It is interesting to note that a similar scheme was only started a year later in England. In 1919, Mahfouz introduced, for the first time in Egypt, antenatal clinics at the Kasr El Aini maternity hospital as well as in the centres that he had opened in Cairo’s deprived areas. Following this, he established a child welfare section at Kasr El Aini hospital, the first of its kind in Egypt. Many mother and child welfare centres were then built throughout the country. By 1930, Naguib Mahfouz had managed to collect three thousand of the rarest specimens in obstetrics and gynaecology obtained from his operations. That same year, he offered the museum which housed them and which was named after him, as a gift to the Kasr El Aini Medical School. The Naguib Mahfouz Museum of Obstetrics and Gynaecology still exists to date at Kasr El Aini Medical School. In 1945, the museum was described by the then President of the Royal College of Obstetricians and Gynaecologists of England, Sir Eardley Holland, as “a remarkable collection” and ” a wonderful monument to the name of its founder”. Mahfouz provided specimens to the museums of each of the universities of Ein Shams, Alexandria, Assiut and Khartoum. Naguib Mahfouz was a prolific author on a wide variety of subjects ranging from urinary and faecal fistulae, spinal analgesia, fibroids, ectopic pregnancy, gynaecological malignancies, pelvic infections and caesarean sections. One of his greatest achievements was the Atlas of Mahfouz’s Obstetric and Gynaecological Museum which he published in three volumes in 1949. The atlas contained pictures and slides of all the specimens found at the Mahfouz Museum of obstetrics and gynaecology. The atlas was described by Sir Eardley Holland as “no doubt the best book that has appeared in obstetrics and gynaecology”. Other books include the celebrated History of Medical Education in Egypt which he wrote in 1935. He also wrote Principles of Gynaecology and the Art of Obstetrics, both in Arabic. In 1919, Naguib Mahfouz was granted the Order of the Nile. In 1935, he was elected Honorary Fellow of the Royal College of Obstetricians and Gynaecologists of England, an honour only bestowed on five eminent doctors at any one time. In 1937, he became a Fellow of each of the Royal College of Physicians of England and of the Academy of Medicine of New York. During the same year, he was granted the title of Pasha, the highest honour bestowed on a civilian in Egypt. In 1943, the Royal College of Surgeons of England elected Sir Winston Churchill, Mrs Chiang Kai-Shek and Professor Naguib Mahfouz as Honorary Fellows of the College, the highest honour the Royal College can bestow. As Mahfouz could not make it to London because of lack of transport during World War II, the Royal College of Surgeons Council, in an unprecedented move, conferred the degree on Naguib Mahfouz in Cairo. On July 1st 1947, the Royal Society of Medicine of England bestowed its Honorary Fellowship upon Professor Naguib Mahfouz and its Gold Medal upon the discoverer of penicillin, Sir Alexander Fleming. During the same year, Mahfouz was also granted the Honorary Fellowship of the Royal Society of Gynaecology and Obstetrics of Edinburgh. 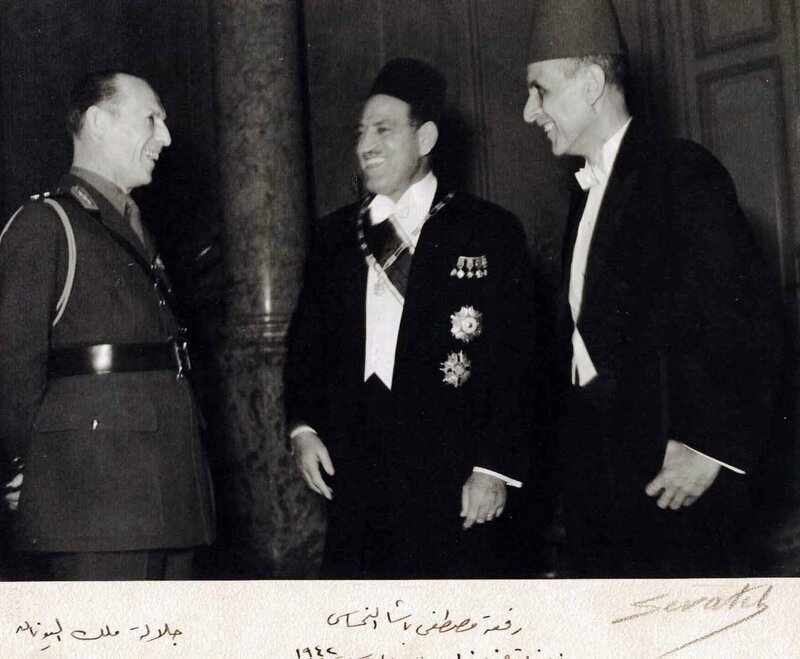 Naguib Mahfouz was granted the Medal of Education as well as the King Farouk’s Prize for Medical Sciences in 1951. In 1956, The Royal College of Obstetricians and Gynaecologists invited Mahfouz to deliver the Fletcher Shaw Memorial Lecture, an honour only conferred on Fellows of the College “whose research would have contributed to noticeable progress in obstetrics and gynaecology”. So overwhelming was the demand for applications to attend, far beyond the College’s lecture hall capacity, that the venue of the lecture had to be moved to the Royal Society of Medicine in London. 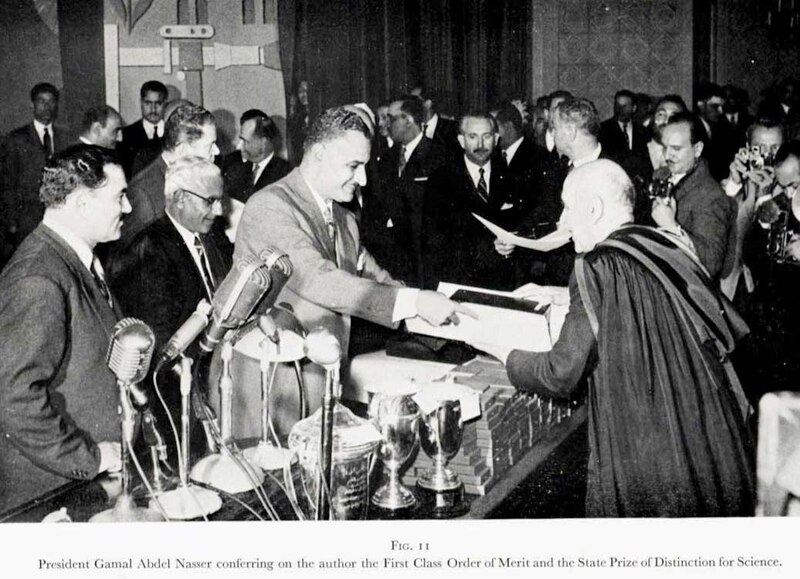 In 1960, President Gamal Abdel Nasser granted Mahfouz the First Class Order of Merit and the State Prize of Distinction for Science. President Anwar Sadat subsequently granted him the highest accolade post-humously. Naguib Mahfouz was married to Fayka Azmi in 1911. They had a son and four daughters. He passed away at the age of 92 on 25th July 1974. Naguib Mahfouz. The life of an Egyptian doctor. Edinburgh and London: E & S Livingstone Ltd, 1966.
the man who dedicated his life to the betterment of women’s health, Watani International, 25 July 2004.